← Summer Solstice Recipes 2015……….. The Wheel Turns to Lughnassadh 2015…………..
Merry Meet my friends! It’s a very relaxing Sun day here at my house. We had a wonderful rainstorm early this morning which gave way to sunshine. Now, it is overcast but it looks like no more rain on the radar for now. That’s actually a good thing! We have had a LOT of rain. To the point, some of my plants are suffering. Too much water, yellow leaves, less blooms. I have completely lost a catmint and several geraniums. But other plants are thriving on the water! We have also had a lot of cool weather..many days not out of the 70’s with very cool nights. This..I have loved! Those who know me or read me often enough, know I’m not crazy about really hot weather! It’s been quite Fall-like on some of the days. Speaking of Fall, Lughnassadh/Lammas is upon us…this August 1…the First Harvest Festival! The Wheel turns fast does it not? to make the bread for banquet halls. and plant a new field come next Spring. and now we’ll share the eating too! Believe it or not, the days are getting shorter and Autumn is on it’s way. This Sabbat marks the ending of summer and the first harvest of the grain. It was known as the time when the plants of Spring wither and drop their fruits or seeds for our use as well as to ensure future crops. This time of year, though it’s still hot and sultry, it’s also a very busy time of year for harvesting. For gardeners and farmers alike! We are reaping what we sowed in the Spring. Our bounty is coming in and needs to be taken care of. On Facebook, I’m seeing wonderful pictures of veggies, fruits and herbs that my friends are harvesting from their gardens. 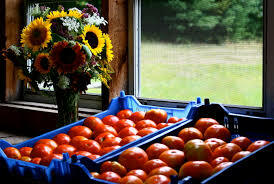 The Farmer’s markets and roadside stands are abundant in products from the local farms as well. Corn is growing to full height and tomatoes are everywhere! It’s wonderful to see. But I also always keep in mind our ancestors, and how it wasn’t a hobby, but a necessity of life. It was their food that would get them through the long, cold Winter months. Harvesting, putting up, canning, preserving were all very much necessary and hard work! I always remember this as I give thanks for my small harvest and for the local farmers around me. I love that we still can our bounty from our gardens. 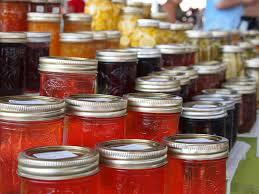 I love when I hear of someone “putting up” the veggies and fruits, making jams, jellies, sauces and preserves. Freezing what can be frozen and preserving for Winter’s use. It takes me back to my childhood when I helped my grandmother do this. I was a very happy little girl when it was canning day. I do some of it to this day, but not like she did. But I believe there are still many of us who do this, despite the fact food is readily available at the store. There is nothing like the freshness of something we grew, harvested, preserved. Way better in most cases than what can be found in a store! There are so many ways to celebrate this wonderful Sabbat. Have a feast with your family and friends..outside while the weather is still nice. Fix lots of fresh veggies and fruits, they are great grilled on the grill 🙂 Have a bonfire, drink wine! Go to a medieval fair or craft show..this time of year they are everywhere. Have a picnic! Lay on a blanket under the stars and find the constellations, watch for shooting stars. Catch fireflies and let them go. Listen to the crickets, hug a tree and enjoy the fresh taste of a warm-off-the-vine tomato! If you don’t have a garden of your own, offer to help a friend harvest or can..I bet you’ll be sent home with lots of goodies. 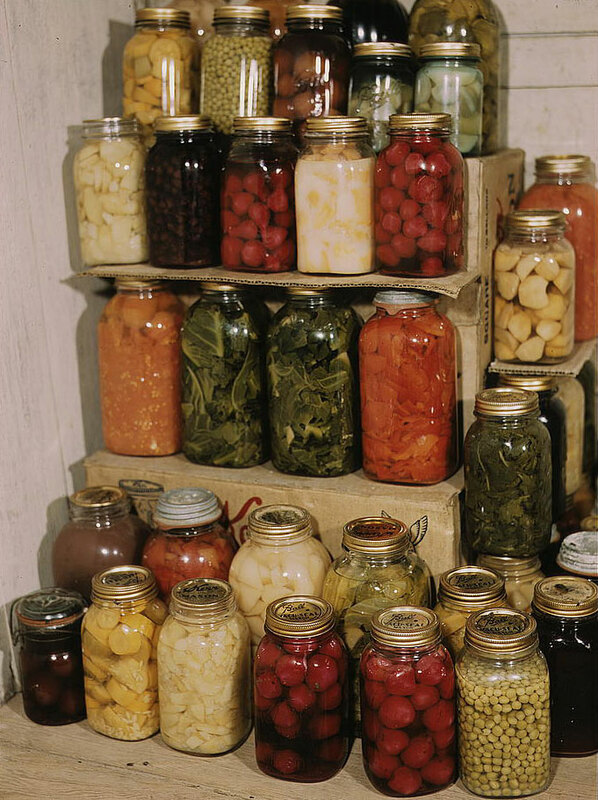 Or visit a farmer’s market and stock up on veggies and fruits there to do your own canning and freezing. I love to make flavored oils and vinegars from my homegrown herbs. They will give your salads, meats, egg dishes etc that fresh herbal taste all winter long. Baking bread is a huge part of celebrating Lughnassadh/Lammas. Have a bread baking day with your family. Put grains, fruits and nuts in the bread and send a loaf home with everyone. Make corn dollies or Brighid’s crosses from corn stalks. Have a family game day with the kids and grandkids. Plan a “tournament” of corn hole for the kids, or croquet, or kickball…playing games is just what the Celts did for Lughnassadh…called the Lugh games. So so much to do for this first wonderful Harvest festival! Lughnasadh is a great time to start your Autumn cleaning. There are things to do to get your house ready for Winter now while it’s still warm out. Clean your carpets, curtains, and windows. Have your furnace checked. 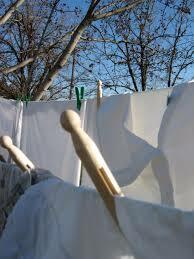 Clean your coats and winter clothes and hang them out on the clothesline for that yummy fresh, clean scent. Wash your linens and hang them on the line too! Get your fireplace checked so it’s ready for the wonderful fires you’ll have soon. Order a cord of wood and get it stacked. I actually LOVE Fall cleaning…I call it nesting 🙂 Preparing to be indoors, while you can still be outdoors, just makes sense. But for now, Summer is still in full swing. Spend time outside. Feel the warmth, feet on the ground, back against a tree. Feel the breeze, hear the birds, watch the squirrels, daydream, doze….rest. They say summer days are lazy, hazy and crazy. I say that sounds wonderful too! But yes, bring on the harvest and the Autumn..my favorite time of year! Oh, July 31 is a Blue Full Moon! Be sure to use that power! A Full Moon so close to a Sabbat always means lots of energy is swirling! I’ll be back soon with a couple recipes. Also, be sure to check out the Lughnassadh issue of Imramma Magazine on July 26th! You can click on the icon on the right of this post. I’ll have some recipes posted there too. In the meantime, have a wonderful week!! I am looking forward to cool weather. The end of July and August are the hottest months here in Georgia. Lately we have been in the upper 90s and lower 100s and beyond humid. Fall cannot come soon enough! Like you I am already preparing. I didn’t have a garden this year because we are in the process of moving, but I spent the morning getting the yard ready for fall anyway before it got too hot. I’m ready for cooler weather! We’ve had the opposite – fiercely hot days that have burnt so many of my poor plants. But we do what we can with what we get. the tomatoes seem to be enjoying it! Looking forward to Lughnasadh when the tides turn ever so slightly to cooler days. As for “putting up” – I’ll be canning salsa when the tomatoes ripen! Mmm, Autumn! I love the Fall! It’s such a beautiful energy to me, even though I’m aware that winter is not far away, and winter is definitely not my favourite time of the year. But Fall, so many beautiful sights and smells! This summer has been very hot and dry for us so far, but my flowers seem to be doing ok, and there might even be tomatoes for me some time soon! Blessings, my lovely friend! Looking forward to Lammas and also the Blue Moon! Haven’t we had an awful lot of astrological anomalies lately? Love that! I just had a duh moment!! Usually we rural folk around the country have our county fairs around the end of July though August, and our state fairs before Sept. Coincidence? I think not. Next week one of the colleges in Portland., Oregon put on the Highland Games. Tossing the tabor for all! Are you in SoCal? The weather has been so pleasant and mild this summer. What a gift! I’m very excited about Lammas, this is my first year celebrating officially. Thanks for the great post! Thank you so much for sharing! Hope your Sabbat was blessed!